We are a company that offers healthy alternatives to enrich your lives. From gym shoes to body oils to help you quit smoking. Be in the Hub, Gym Hub. We inspire to bring out the "great' in you. Thank you for viewing and keep the spirit alive. White TIPS THC AND CBE Pen Tank With Round Metal Tips Best Quality! 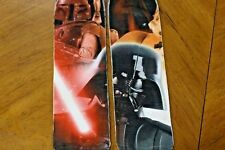 STANCE - STAR WARS NEW - FREE USA SHIPPING! Women Shoes Bidibi White and Black Fashion and Casual Wear for Ladies SALE!